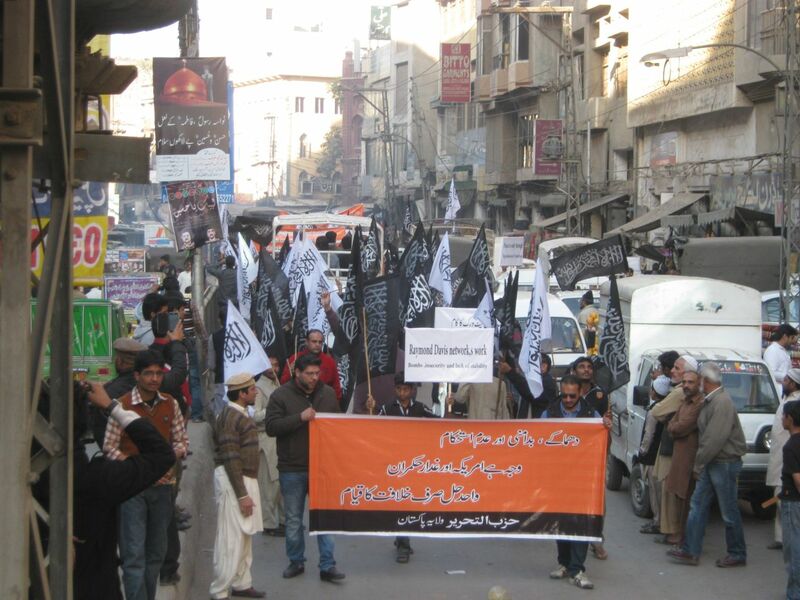 Hizb ut-Tahrir Wilayah Pakistan held demonstration across the country for ending the American Raj in the region. Hundreds of people attended these demonstrations. People were holding banners and placards calling for “Bombings, insecurity and instability…. The cause is America and treacherous rulers….. Khilafah is the only solution”, “End American Raj… Close US bases and embassies”. 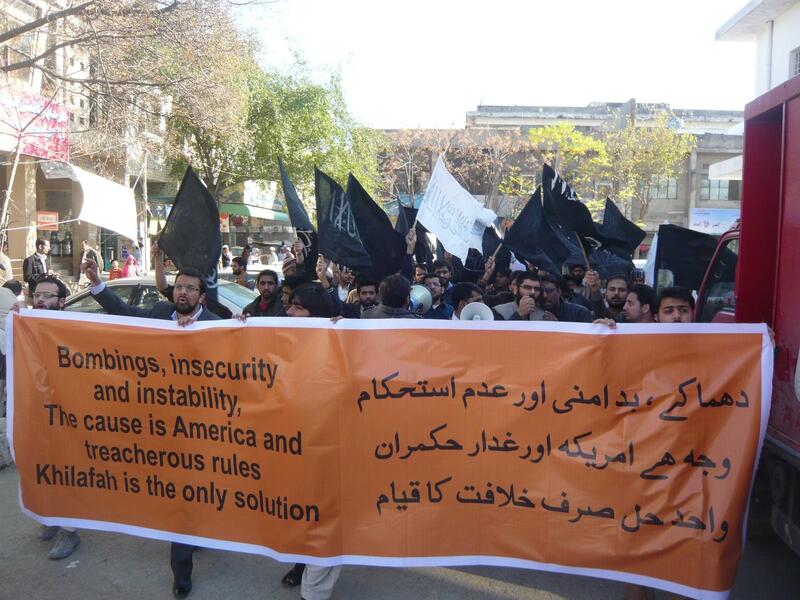 Demonstrators expressed their anger against the ever increasing American hegemony in the country and asked the sincere officers in the armed forces to end the War of Fitna which America has instigated. This can only be possible if these officers close American embassy, consulates, bases and their intelligence offices and expel American diplomatic and military officials from the country. Demonstrators also asked the sincere officers to fulfill their pledge with their Lord Allah سبحانہ و تعالی and His Messenger ﷺ that they will protect and defend this land and its people. They also asked the sincere officers that they must uproot the traitors with in the political and military leadership and give Nussrah to Hizb ut-Tahrir for the return of the Khilafah to Pakistan because it is the most important Islamic obligation and only the return of the Khilafah will completely end the Kufr Capitalist system and American hegemony. People in these demonstrations expressed their resolve that they will continue the peaceful political and intellectual struggle to bring to an end to the American Raj secure the return of the Khilafah. They will bear hardships in this path with determination and patience.